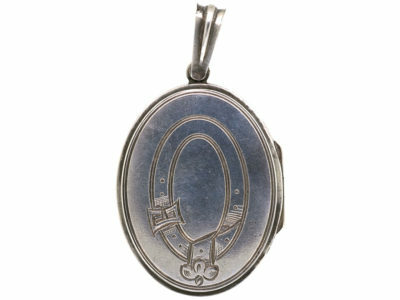 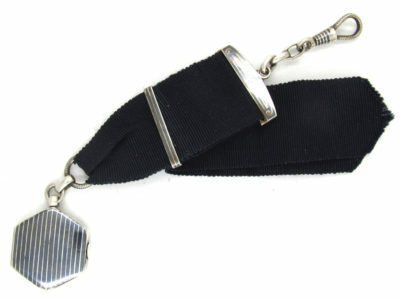 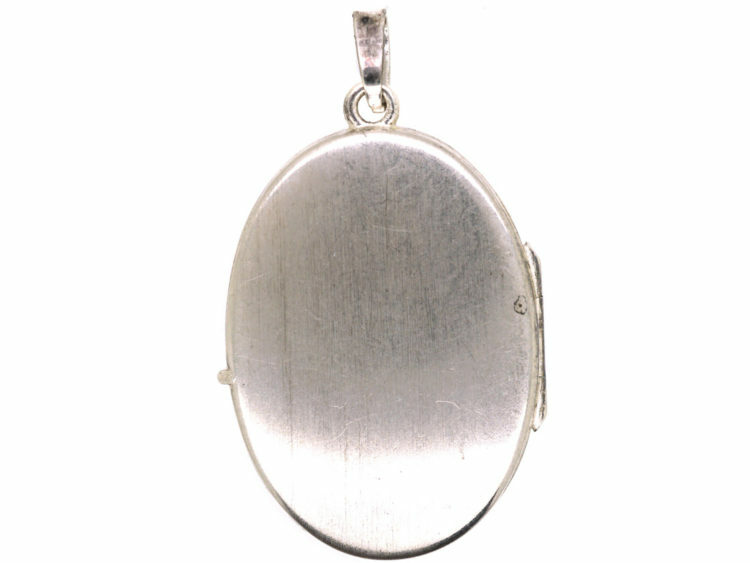 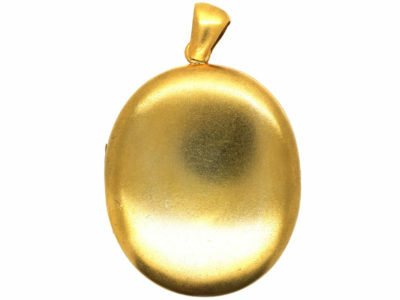 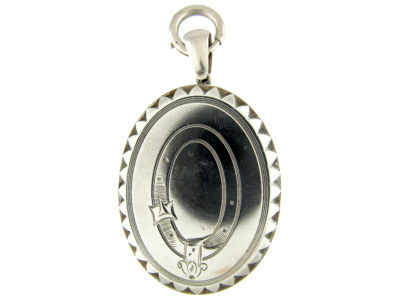 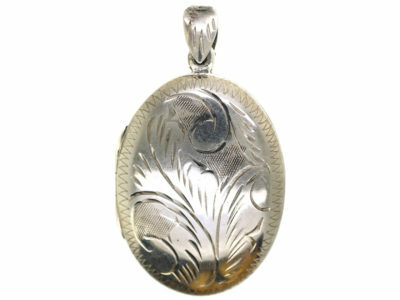 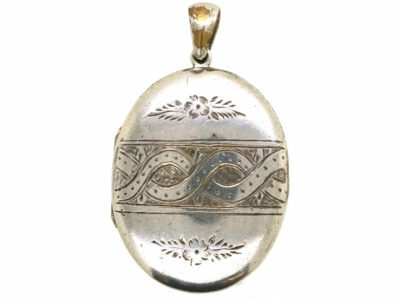 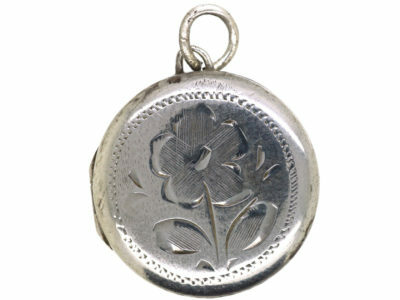 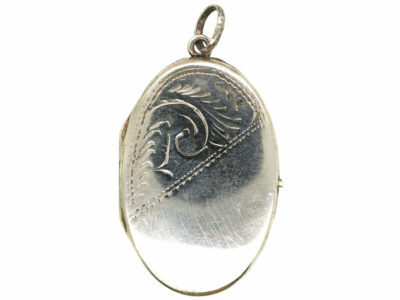 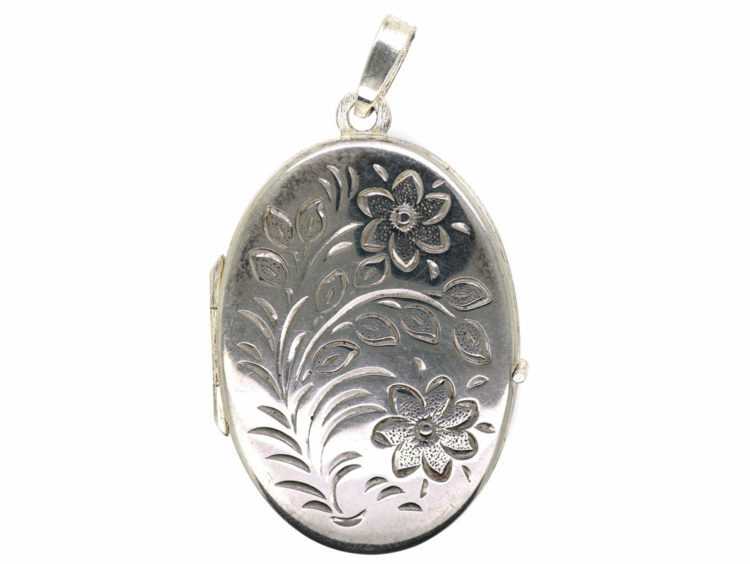 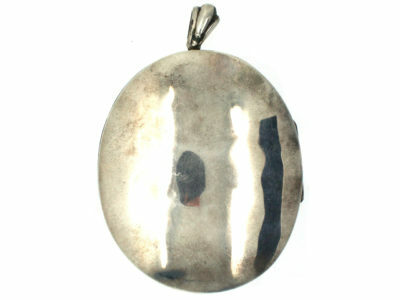 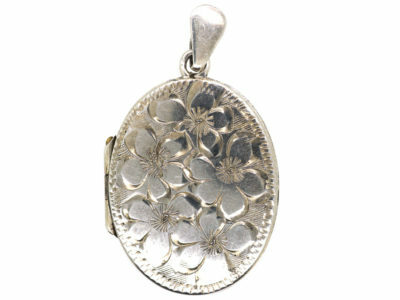 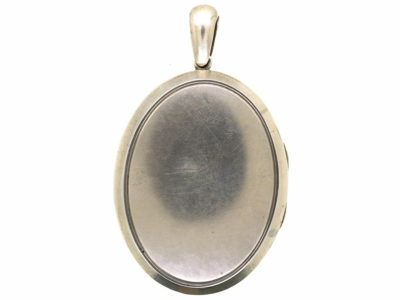 A pretty oval silver locket with two compartments inside for photographs. 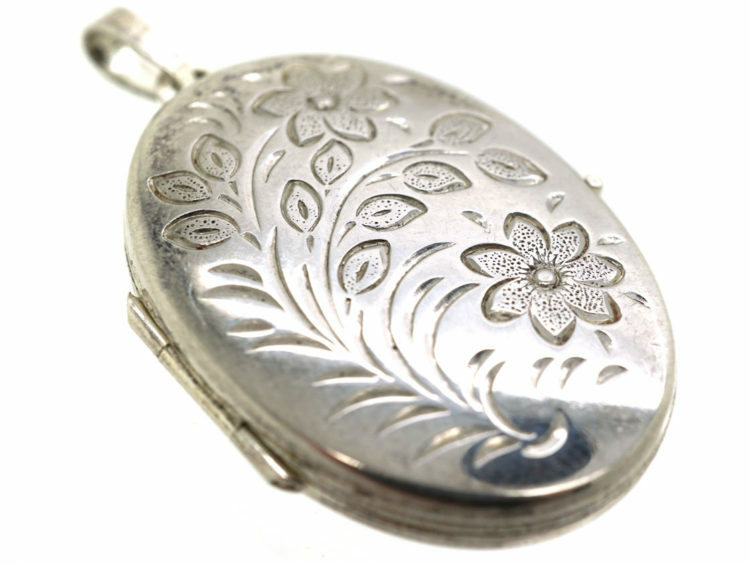 It has been engraved with flowers and leaves on one side. 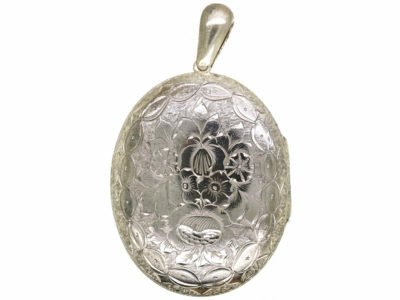 It would make a sweet gift.